Scottie Lindsey gets stripped going up for a layup. The senior guard looks to finish his career undefeated at the Rutgers Athletic Center on Tuesday. Since Rutgers joined the Big Ten for the 2014-15 season, Northwestern has won every game against the Scarlet Knights. The Wildcats (15-11, 6-7 Big Ten) have compiled a 5-0 record over that time, with two of those wins coming by more than 20 points. They’ll look to extend that streak to six straight on Tuesday in Piscataway, New Jersey, against the reeling hosts. Rutgers (12-15, 2-12), quite simply, is a bad basketball program. The Scarlet Knights have finished last in the conference in all three of their full seasons since joining, and they once again occupy the bottom spot at this point in the 2017-18 season. After winning two of their first seven conference games, they have since lost seven straight, including a 31-point loss at fellow bottom-feeder Illinois. The Fighting Illini are the only other team in the Big Ten with only two conference wins. For NU, taking on struggling Rutgers could be just the bounce-back opportunity it needs coming off a disappointing loss at Maryland on Saturday. 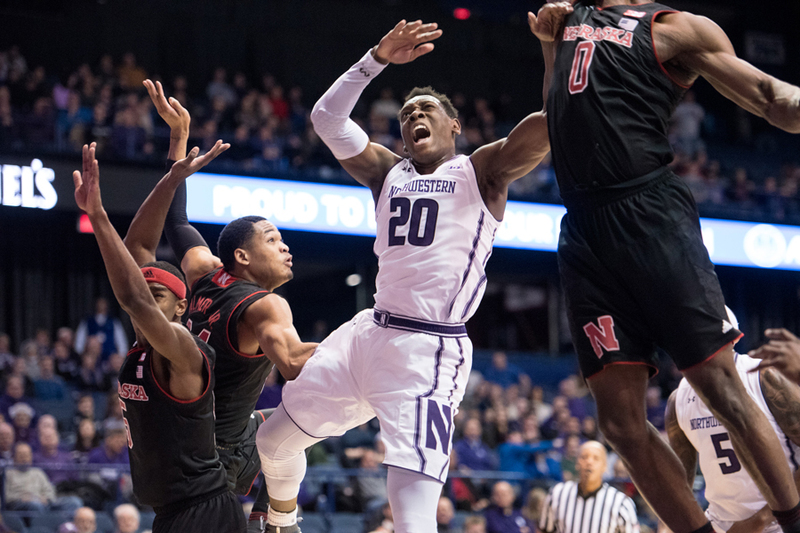 Not every game against Rutgers has been easy for NU, however. Last year’s tournament team only beat the Scarlet Knights by 4 points at home, needing clutch threes from forward Gavin Skelly and guard Bryant McIntosh in the final minutes to finally pull away and escape with the victory. This season, the Cats have been notably worse and Rutgers may actually have slightly improved, so there’s no guarantee this will be an easy victory for NU. The Knights allow the second-fewest points per game in the conference, and have allowed more than 70 points just once in their past eight games. That isn’t the team’s only strength, however. Of course, there’s a reason they sit at the bottom of the conference. They score the fewest points per game, shoot the lowest percentage and average the lowest assist total in the Big Ten. That low-powered offensive output is led by guard Corey Sanders, who averages only 14 points per game, making him the conference’s lowest-scoring team leader. Sanders doesn’t get much support, either. Rutgers is one of only two teams in the Big Ten without two players in the top 30 in the Big Ten in points per game. In their most recent game, the Scarlet Knights got their fourth- and fifth-leading scorers back with guard Mike Williams and forward Eugene Omoruyi, respectively. Still, the Cats shouldn’t have much trouble containing that rather inept offense. NU has allowed more than 70 points in only three of its 11 games in the 2018 calendar year, and all those teams feature much better offensive attacks than Rutgers. The Cats will need to ensure they don’t have another let down offensive letdown of their own — they have scored fewer than 50 points in three games this year, all against quality defenses — to get back to .500 in conference play.